Wednesday, April 24 – Choir & orchestra rehearsal at 7:00 PM in the Worship Center. 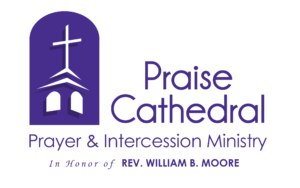 If you are interested in being a part of the choir ministry, please contact Pastor Bob at 864-350-8433 or bmccuen@praisecathedral.org. Our Prayer and Intercessory Ministry Team is continually covering your needs and requests in prayer. Prayer requests may be submitted online or in the boxes located throughout the lobby. If you are interested in joining our team, please email Becky McCuen at rebeccamccuen@praisecathedral.org, or contact the church office at 864-879-4878. Join us on Tuesdays as we focus our hearts on Prayer. 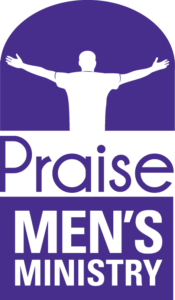 Join Pastor Bob for the Men’s Prayer Breakfast at 8:00 AM in the Fellowship Center. Intercessory Morning Prayer Service – Join us at 11:00 AM in the Johnson Prayer Chapel for an opportunity to get away from distractions and spend time in focused prayer. Monday – Thursday – 9:00 AM – 4:00 PM – The Johnson Prayer Chapel is open for individual prayer. Women’s Prayer Breakfast, hosted by Diane Buchanan, will be Saturday, May 11 at 10:00 AM in the Dining Center. A light breakfast will be served. Praise Kids will be heading to Kidfest in Gatlinburg, TN on May 3. Please join us in prayer. Registration is open for Pow Wow 2019 on May 17 – 19.This event is for all 3rd – 12th grade boys. Please register on the Praise Kids app or online here. 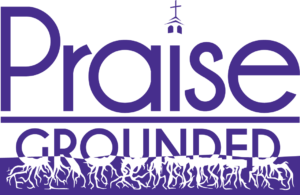 Praise Girls’ award ceremony will be Wednesday, May 29 at 7:00 PM in Praise Town. Parents’ Night Out is Friday, June 7 from 6:00 PM – 9:00 PM. Mark your calendar!!! VBS is August 4 – 7. You don’t want to miss this event. Join us for a free soccer camp. Download the Praise Kids app for more details. Middle School Sundays will resume in September. Graduate Sunday is May 19. All upcoming high school and college graduates may register online here. To receive PCS text alerts, text the message @pcstxt to (442) 333-7406. Good News!!!! Registration is back open for our ladies’ retreat. Register online here. Contact April Rains or Angela Dillard at praiseladies@praisecathedral.org or 864-879-4878 with any questions. Packet pick-up for the ladies’ retreat is Sunday, April 28 from 2:00 – 4:00 PM in the Ogle Parlor. Remember, all final balances are due on this day. Please contact April Rains or Angela Dillard at praiseladies@praisecathedral.org or 864-879-4878 with any questions. All college students and young adults are invited to meet at Stomping Grounds in Greer on Wednesdays at 7:00 PM. All college students and young adults are invited to a Bible study on Sunday, April 28 at 5:00 PM in the Loft. Our next senior adult meal is Sunday, May 5 in the Dining Center following the 10:30 AM worship service. Sign-up online here or on the “Who’s in the Pew” pad. Join us for Pastor’s Bible Study on Wednesdays at 7:00 PM in the Dining Center as we begin our spring series “What it Takes to Win.” You may be surprised by God’s measuring tape for success. We will also consider the glory that awaits beyond Earth’s finish line. Bring a dish or dessert to share and let’s grow together in His word. Please join Team Praise as we honor and remember our loved ones and friends who have fought a battle with cancer at the Greer Relay for Life event on Friday, April 26 from 6:00 PM – 12:00 AM at Dooley Field (Greer High Football Stadium). If you would like to purchase a Luminary to honor or remember someone, please contact Cindy Davis at 864-915-7417 or the church office at 864-879-4878. We will have a new members’ luncheon on Sunday, April 28 in the Dining Center following the 10:30 AM worship service. If you are interested in becoming a member, please stop by the Welcome Center and see Pastor Jeff for more information and details. You can also contact him at jshirley@praisecathedral.org or 864-879-4878. If you are a mom that has lost a child, please join us in the Fellowship Center at 3:00 PM on Sunday, May 12 and May 26 for a time of healing, sharing, and support. Please contact Pastor Jonathan at jmcclain@praisecathedral.org or 864-879-4878 with any questions. By His Stripes Ministry and Angelia & Savannah Anderson are hosting our annual Widows’ Appreciation Event on Saturday, June 1 in the Dining Center at 11:30 AM. We are asking for donations of door prizes and desserts. Please see Angelia in the foyer before or after the 10:30 AM worship service or call or text at 864-569-2700. Donations are tax deductible. All are invited to a four man captain’s choice golf tournament on Saturday, June 1 at the Links O’Tryon. Lunch will begin at 12:00 PM with a shotgun start to follow. The cost is $200 per team. Register online here. Contact Michael Good at 864-979-2222 with any questions. To have your announcement or event featured in our weekly bulletin, please email adillard@praisecathedral.org or contact the church office (864) 879-4878.